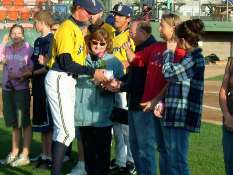 Minor League Baseball is a unique entity in sports for many reasons, but one of the most special facets of life in the bushes is the people that become a second family for the players and coaches; that second family is known as the Booster Club. 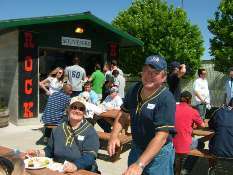 The Brewers are thankful to have such a dedicated fan base that takes care of their boys of summer with support, love, meals and sometimes even a place in their home. 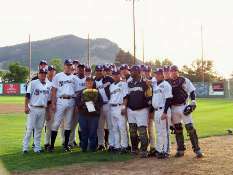 Minor League Baseball could not function as well as it does without the willingness of boosters to sacrifice their time and efforts to ensure a smooth transition for ballplayers when those young men become professional athletes. And although they might be slightly biased, the Brewers feel that they have the best booster club in the country. 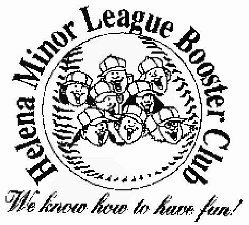 The Brewer Booster Club welcomes the players to Helena with more than just a handshake or a smile; they get involved. They throw picnics for members and players as well as make trips to see the club represent Helena on the road. 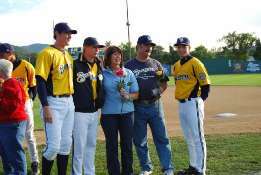 Many also become host families and allow grateful players to become part of their family during the season. Revenue collected from membership dues and 50/50 drawings support the players coaches and the ballpark. The Boosters have helped purchase the field tarp, a new barbeque grill, the picnic tables around the ball park, netting for the batting cage and other miscellaneous items. Currently, the Booster Club has roughly 60 members and is always looking for more folks to get involved. Club President Dave Hughes feels that the social aspect among members of the club is exciting but so is getting to befriend the Brewers while they stay here. "We have great access to the team and getting to know the players and the coaches is the best part of what we do," Hughes said. "We keep in touch with just about everyone we've hosted, and so do the other boosters. It's great to keep in contact with them and follow them as they continue their pursuits in baseball and in life." Dues are nominal: Individual memberships cost only $10 while a family membership is just $15. For more information call Dave or Marlene Hughes at (406) 442-8529 during the evenings.